Novotel Paris Centre Tour Eiffel grew digital engagement with guests by more than six times and has been able to provide unique ‘surprise and delight’ moments to guests at the hotel through effective social monitoring. With over 1610 properties across France and 3,700 internationally, AccorHotels is one of the world’s most trusted hotel groups. Ranging from luxury hotels to budget accommodation, they cater to a wide range of guests. In an environment where hospitality is becoming increasingly commoditised, AccorHotels aims to deliver quality service to their guests that remains personal. Keeping a competitive edge and ensuring that their visitors receive the best possible service requires ongoing feedback and insight into the guest experience. General Manager, Laurent Mauguit, saw the potential to be part of the digital conversations taking place at the hotel. He charged Gwendal Besnard, Communication and Guest Experience Manager, with the job of optimising the social media strategy of the hotel. Local Measure was brought in to ensure that efforts were targeted, and that opportunities were not being missed. After just a few months the results were evident. Guests became more aware of the hotel’s Instagram presence, and the number of followers quickly rose. Gwendal Besnard also appreciated the ease in which Local Measure allowed him to interact, saving the hotel time and resources. The additional visibility and efficiency provided by Local Measure enabled the Novotel Paris Centre Tour Eiffel to respond to guests on social media ten times faster. 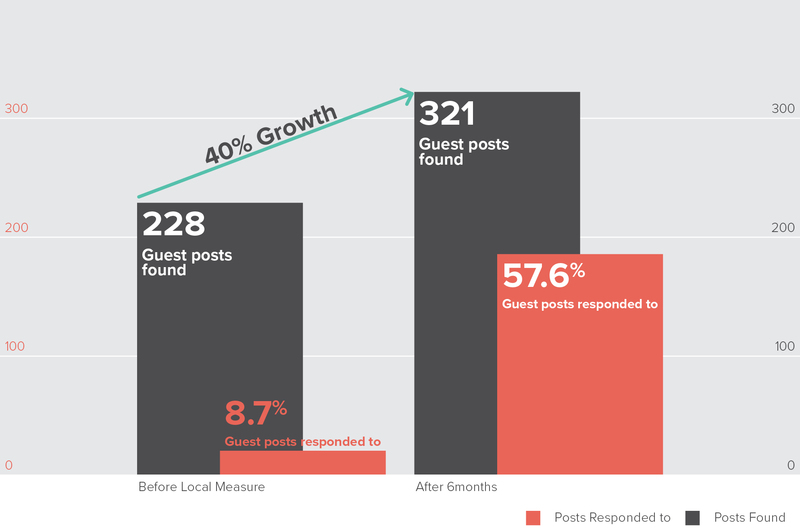 Meanwhile, the volume of posts sourced surged by 40% due to the addition of geolocation data and the hotel was able to respond to six times the number of guest posts during a four-month period. Novotel Paris Centre Tour Eiffel uses Local Measure to create meaningful moments with guests by developing online conversations into offline interactions. Through Local Measure, Novotel Paris Centre Tour Eiffel has been able to go above and beyond to surprise and delight guests with excellent service. Staff members noticed some fantastic photos and videos on Local Measure by Aymara Guimaraes (@ayguimaraes) which they liked from the Novotel Instagram account. They also decided to take guest experience to another level by leaving a surprise in her room. When @ayguimaraes discovered her own picture printed by the hotel along with a souvenir of Paris and a handwritten card waiting for her in her room, she posted on Instagram to thank the hotel letting them and her network know that she would be back. As a result of their increased customer engagement strategy using Local Measure, the number of Instagram followers of the hotel has doubled. Engaging with influential visitors and encouraging them to post has helped boost awareness and expand the hotel’s reach to a wider audience.